A memorial service for alumna Sharon Laird, who advised hundreds of Jacksonville University students and was an instrumental figure at the University in the ‘90s in the College of Weekend Studies and later the College of Lifelong Learning, will be held at 11 a.m. Saturday, Jan. 31, at the Garden Club of Jacksonville. 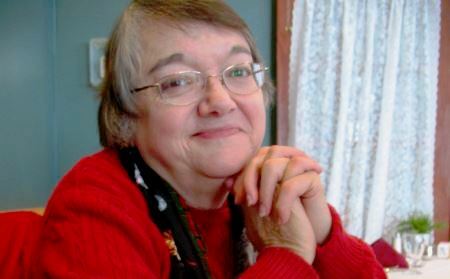 Mrs. Laird, 68, died Jan. 9. At the time of her death, she was Manager of Senior Services for the City of Jacksonville under Mayor Alvin Brown. She received her B.A. in history and education from JU and for many years taught as an adjunct assistant professor of history. 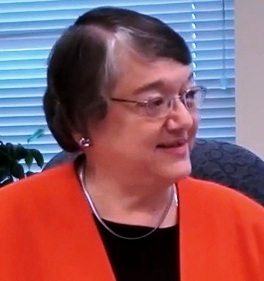 She became an academic advisor in the College of Weekend Studies in 1989, was promoted to director of the College of Weekend Studies in 1997, and then to director of Academic Programs in the College of Lifelong Learning before leaving the University in 1999. She also was the archivist for the Jacksonville Historical Society while it was housed in the JU Library. Saturday’s memorial is open to the public as participants celebrate Mrs. Laird’s extensive contributions to her community, friends and family. Additional information can be found at www.facebook.com/SharonLairdMemorial. If desired, memorial contributions may be made via PayPal to sharonlairdmemorial@gmail.com. Donations will be used toward funeral expenses and then distributed to some of her favorite Jacksonville cat rescues, environmental protection organizations, and the National Organization for Women. Sharon Rosenburg Laird, 68, daughter of Eloise and Laurie Rosenburg, passed away on Jan. 9, 2015, from complications from heart disease and a stroke, after minor ankle surgery. She is survived by her daughter, Elizabeth Laird-Joy (son-in-law, Beyond Joy) and her husband, Gary Laird. She was a fourth-generation Floridian and had a lifelong commitment to the betterment of her native city of Jacksonville. A woman of deep integrity and strength, Sharon was greatly admired. She was currently the Manager of Senior Services for the City of Jacksonville under Mayor Alvin Brown. She graduated from Andrew Jackson High School, then continued at Jacksonville University, earning a B.A. in History and Education followed by a M.A. in Education and Religion at Southeastern at Wake Forest, N.C. Early in her marriage, she ran a solar energy company, Suntrak Inc., with her husband, Gary. She taught for many years as an adjunct assistant professor of history at Jacksonville University and Florida Community College at Jacksonville and as a history teacher at Hendricks Day School. 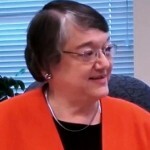 Additionally, Sharon was the Director of the College of Lifelong Learning and the College of Weekend Studies at Jacksonville University and advised hundreds of students in the course of more than a decade of academic advising. She was appointed by the late Gov. Lawton Chiles and approved by the Florida Senate to serve as a member of the State Board of Independent Colleges and Universities. She was a principal and founder of the Florida Political Research Center, the Social Science Research Center at Jacksonville University and Florida Opinion Research. She was the primary archivist for the Jacksonville Historical Society for several years and she enjoyed historical endeavors such as the cemetery tours with the Pilot Club and visiting museums around the world. She relished travel not only within the diverse state of Florida, but throughout the country. She had a deep appreciation for nature’s beauty and sought to protect and preserve the environment, including through her membership in several organizations. In her final resting place at Evergreen Cemetery, where she was buried Jan. 17, 2015, she is surrounded by ancient oaks and a rich history. Sharon was involved in numerous campaigns throughout her life involving Democrats on the local, state and national levels. She served as the Coordinator of the Duval County Legislative Delegation and later as the Director of Community Outreach for the Honorable Congresswoman Corrine Brown’s District 3 local office. She was the Duval County Campaign Coordinator for Jimmy Carter and a Campaign Coordinator for Governor Buddy MacKay. She was a devoted defender of women’s rights, participating in the National Organization for Women and raising a tenacious feminist daughter, who was born on Women’s Equality Day. She was a gifted speaker, often participating in the services with her church, the Unitarian Universalist Church of Jacksonville. Sharon was truly a faithful caregiver for her family and friends, as well as many felines throughout the years. She will be missed by many, though her legacy will live on in tribute to her ideals through those she has influenced and guided.